17-year-old Lily Anderson is ready to wrap herself in a big red bow and give Zach Hewitt the greatest gift in the history of Christmas: Her. But when she pulls a pair of booties from her stocking and learns her forty-year-old mother is pregnant, Lily finds herself adrift, unsure of Zach's commitment. With the help of her best friend Sarah, Lily plots to secure her place in Zach's heart. But after a series of awkward rejections, Lily loses faith in her dream boyfriend, in herself, even in Sarah. That's when Lily turns to Adam Connolly, a transfer student whose lash-y eyes and comfortable silences make her question who it is she wants and what she needs. But Adam's support can't help her the day Lily discovers her parents' game-changing secret. 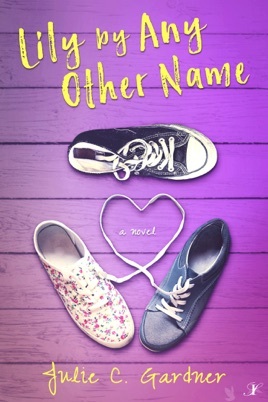 Faced with the truth, Lily must decide how to deal with her family's past, take hold of her own future, and accept that there are many names for love. Don't bother making wishes; what you get is more than enough.